Wie schon in einigen Kommentaren gesagt: gute Songs, doch merkwürdige Zusammenstellng. Von mir eine aufgerundete Fünf. The classics are great but the new songs are pretty empty. 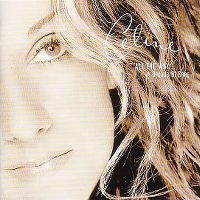 Celine Dion really shines with her ballads, which is understandable considering her huge voice - but I honestly believe the ballads towards the end of the album are just boring and don't really go anywhere. Although it doesn't detract from the amazing-ness of tracks like It's All Coming Back To Me Now and My Heart Will Go On, it does bring the album down as a whole. I wish that certain other songs were included, such as: All By Myself, Falling Into You and If You Asked Me To.